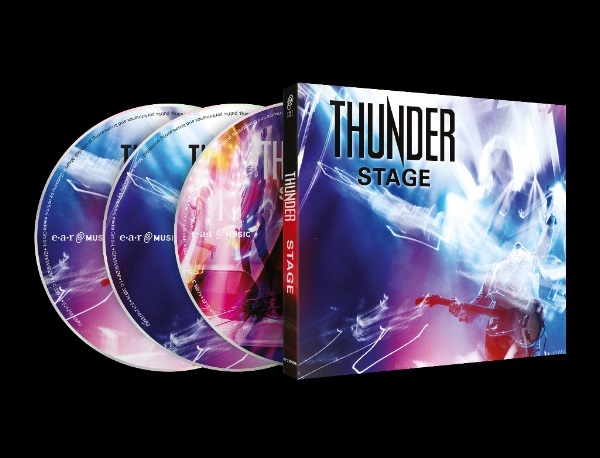 On March 23, THUNDER will release the brand new live album, “Stage”, through earMUSIC. “Stage” features hits from right across the band’s career and includes fan-favorite classics, like “Backstreet Symphony”, “Low Life In High Places” and “Love Walked In”, and brings things right up to date with tracks from the 2017-released, Top 3 U.K. chart album “Rip It Up”, like the storming title track and “She Likes The Cocaine”. “Stage” was captured at Cardiff Motorpoint Arena on March 24, 2017 during the U.K. tour; the band also played the rest of Europe, North America, and Asia, across Germany with Alice Cooper, at Planet Rock‘s Rockstock, and is preparing to fly to Japan for some January 2018 dates. 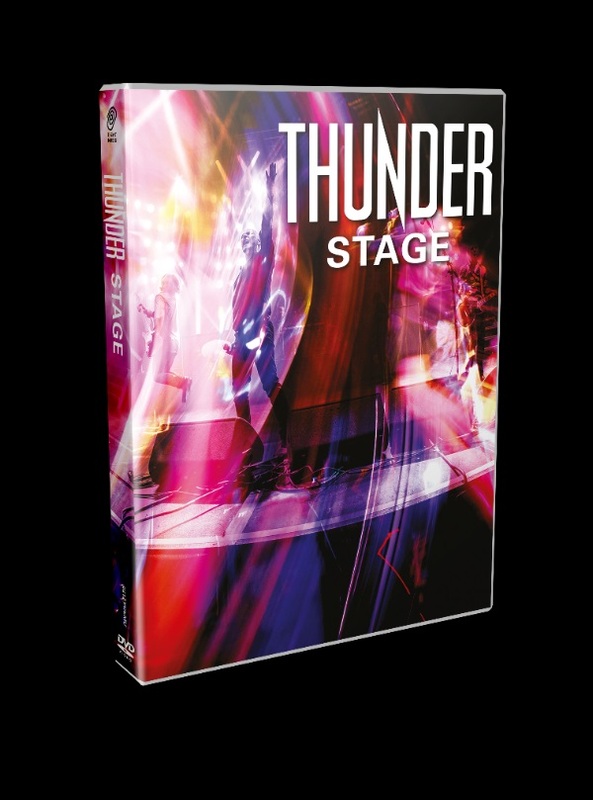 “Stage” will be available as a 2-CD + Blu-ray, 3-LP, DVD, Blu-ray and a limited-edition box set. The audio-visual formats will feature a host of bonus and interview material, whilst the limited-edition box set will include also boast the full “Live At The 100 Club” set, the “29 Minutes Later” acoustic set (only previously available as a Record Store Day release), and the documentary film “A Difficult Day In January: Thunder In London”. Since forming in 1989, THUNDER has established itself at the top table of U.K. rock, notching up some 20 Top 50 singles and two gold albums. The band’s sound is a timeless marriage of unforgettable melodies and sheer rock power.